King Joffrey has come back from the dead, and he is voguing all for you. 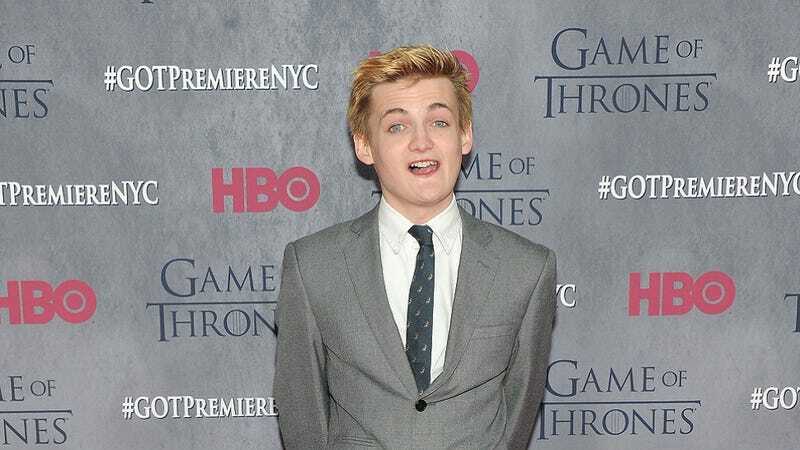 Reported as a “rare sighting” by TMZ, former Game of Thrones actor Jack Gleeson made an appearance at a cosplay conference in Abu Dhabi alongside Naomi Kyle, a host at IGN and Gleeson’s girlfriend. The video, which may or may not be the Dancing Baby Cha-Cha of our time, does not feature any Starks, Lannisters, direwolves, dragons, or Jon Snow, but it should. People might have at one point or another done the sexing things on Hillary Clinton’s private jet, like any other airplane that you have been on in your entire life.